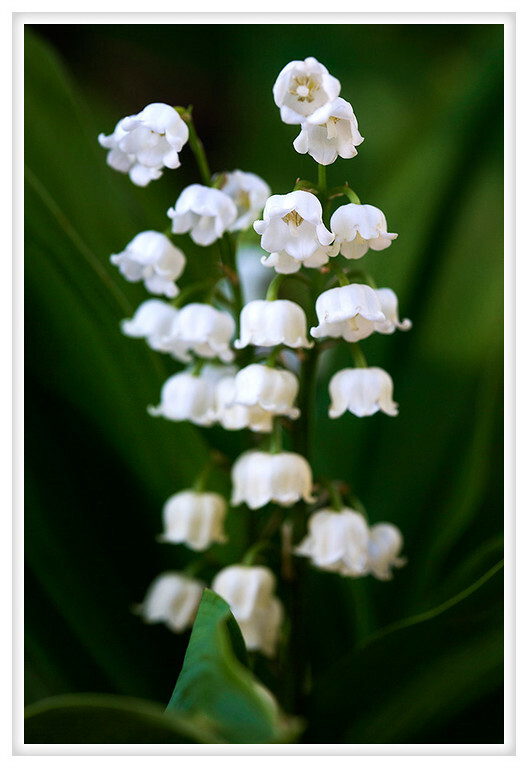 I've always like the delicate structure of Lily of the Valley. The delicate bell-shaped flowers are so bright compared to the rich green foliage. It doesn't hurt that they like shady woodland locations and so provide an interesting bright spot amongst all the other shade-loving plants. I would be very tempted to plant some in my yard but I am trying to strictly adhere to my native-only theme but these little gems weaken my resolve.